Hi! Madelyn here, the chapter president of Western Michigan University’s Move-Ex chapter. It’s the middle of the semester… rehearsals are running late, papers are due, and exams seem to be endless. But as I sit here thinking about Movement Exchange, a special lesson comes to mind which I have learned through Movement Exchange. And the lesson is this: dance is powerful, it makes just about everything better, and creates unbreakable bonds between people. Nothing beats seeing the bright smiles on the faces of the assisted living residents as we tap our feet and sing “Hound Dog” (as requested). There’s nothing better than watching fifteen 4 year olds stand up and show off their own personalized “happy dance”, which is usually comprised of a big jump into the splits or a crazy shake of every limb on their little bodies. And finally, nothing compares to the feeling of love I have when I get a video or message from my sweet friend, Dairy, in Panama. Just seeing her bright eyes lightens my perspective. 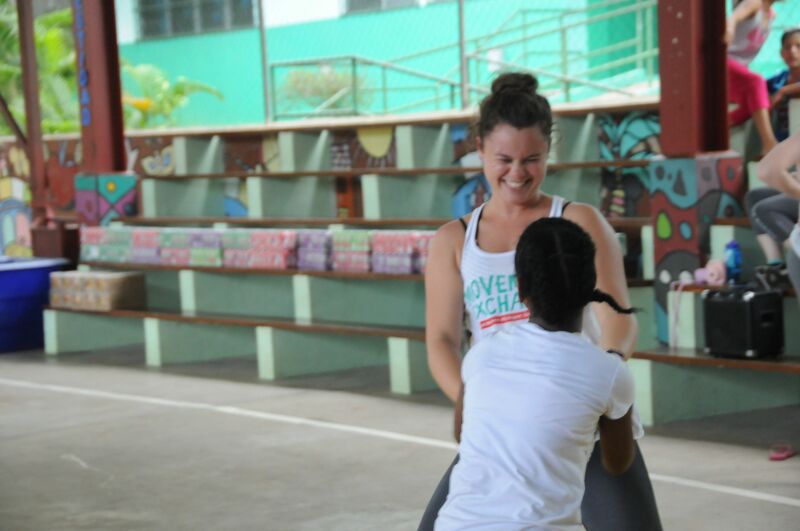 Her smile gives me hope, reminds me why I dance, and helps me to refocus on the bigger picture–loving one another. 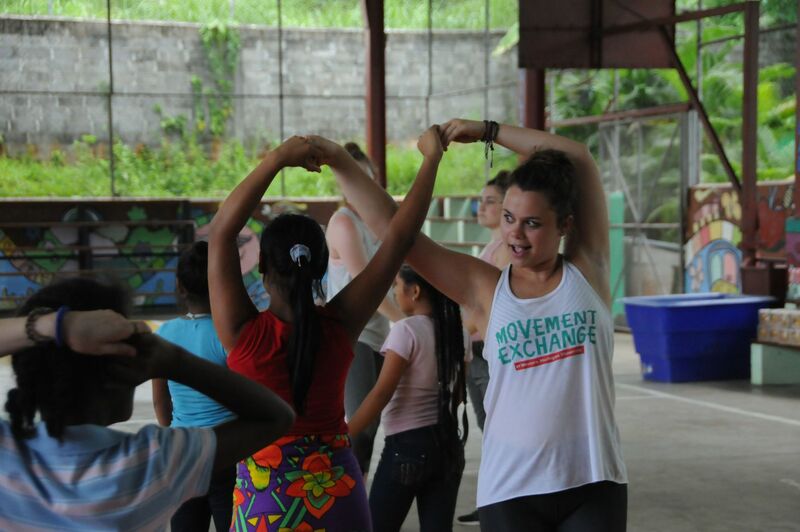 For me, Movement Exchange is like a vacation from school. It’s contains a magical capacity that pushes me beyond myself. I am reminded to spread and receive light and love through dance. Let me tell you– the joy of movement is contagious, and it’s spreading like wildfire here in Kalamazoo.